Announcement of the Mito Seiko co., Ltd.
Includes the notice "Mito Seiko co., Ltd. pioneer in resin processing". While a truly selfish, 4/28/2019(Day)From 5/6(Moon)The authorised and the closure period. We ask that we deeply apologize the inconvenience during the inquiry. 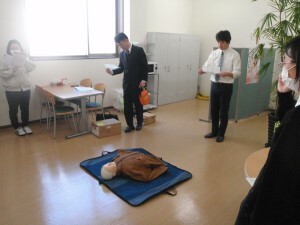 Conducting drills, we have to participate every year, officials and AED training. 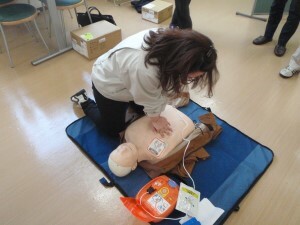 3/14 leave this time, invited speaker, AED training meeting was held. Cases, according to the data of the Meteorological Agency in recent years 123987 people have cardiac activity stops ambulance due to being and witnessed civilians out 25469 around which life-saving treatments by AED use only 907 people was. From 119 to call an ambulance until time is approximately 8.5 minutes in a national averages. 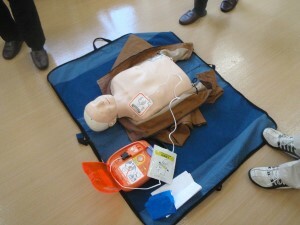 If made by AED lifesaving treatment, survival is not yet of that would be about five times. 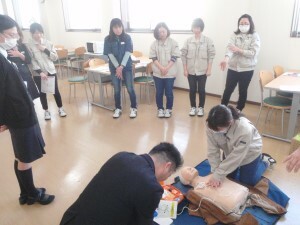 But you know how important is life-saving treatments after cardiopulmonary arrest. 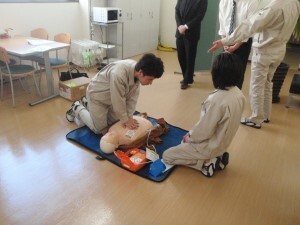 In the course of time, received practical guidance with the basics, such as how to use the AED and chest compressions. 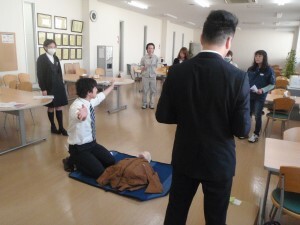 In addition, learned the importance of basic relief, such as the technical aspects, as well as the call for help in a loud voice, to gather people, strangers who also work with the roles and performed Chest Compressions in turn, get off of their hands. Really people, lying far calmly you can deal with that... to learn life-saving treatment knowledge and skills throughout the course of this how should be realized. We will continue, we would visit provides the opportunity like this. 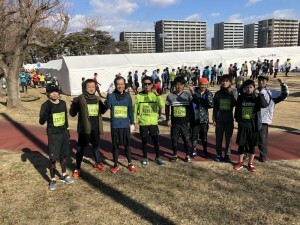 We are hitachinaka conducted in hitachinaka-Shi [Katsuta marathon race] to participate each year. 1/27/2019 again this year leave(Day), Was able to finish safely without having to participate in the 10 km of our hero to name a few, no one injured. We believe in the shared sense of aiming at the goal at all, both overcome the pain and sense of accomplishment, not taste only in the ordinary course of business, it will lead to great teamwork. 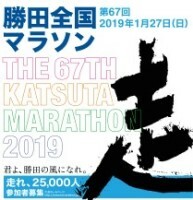 [Katsuta marathon race], pick up 67 times in a year, and the popular Marathon in the country, is rising levels of runners every year. Expectations about next year than our heroes battle. Once again, Mito Seiko co., Ltd. from the Ministry of economy, trade and industry "regional future towing companies" to inform that was selected. 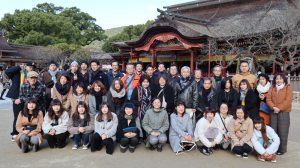 As a regional candidate for the regional economy towing business leaders, in 1543, in Ibaraki Prefecture, including our company, has been selected by 31. Expand your business strongly driving economic growth in the region by regional future and towing companies, utilizing the characteristics of high added-value to create the ripple effect economically for regional operators, such as on more positively, or It is selecting the companies expected to be tackled now. So, become a company can lead strong regional economic growth and development, and make efforts to satisfy our customers, we also contribute to Community regional future as a towing company, enhancement of production capacity further improvement, quality management, internal systems to strengthen our product offer We will do more. Giving us the patronage bestowed on exceptional, thank you. Also, regarding our production activities, cooperation and understanding of all, again. Look forward to your patronage and guidance further appreciate sincerely. There, thank you for your continued. This year we have supported many sincere thanks. Next year, look forward to this year as well for your support and patronage employees sincerely appreciate. Is a recent company trip. Is committed to answering the more employees as a result, you can help your. 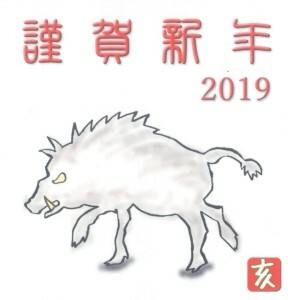 Receptions sincerely hope you'll have a brilliant new year, we are earnestly his humor as you will find, I will exchange season's greetings. While a truly selfish, 12/29/2018(Soil)From 1/6/2019(Day)The period of time, will be closed by the end. During the great inconvenience for the inconvenience, but please please. 1/7 sho(Moon)From we will resume normal business. 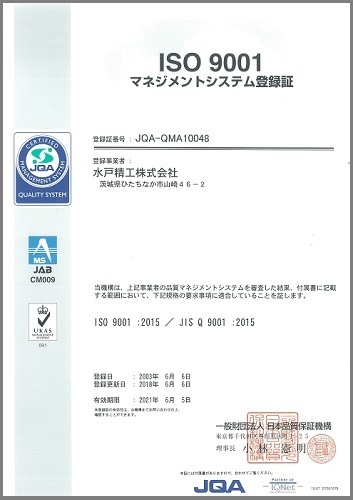 Thank you, thank you very much for your continued patronage of the exceptional. You closed on the following dates for the training of our employees well. Thank you to inconvenience for the inconvenience, but please. While a truly selfish, 8/11/2018(Soil)~ 8/15 (Wednesday) period we will be closed during the summer. The 8/16 (Thursday) ~ we will resume normal business. 2015Inform so authenticated to update to version. We aim to satisfy your product offer. 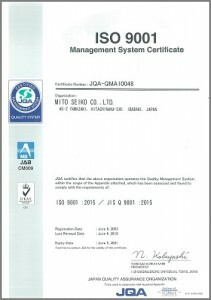 Search Announcement of the Mito Seiko co., Ltd. Copyright © Announcement of the Mito Seiko co., Ltd. All Rights Reserved.